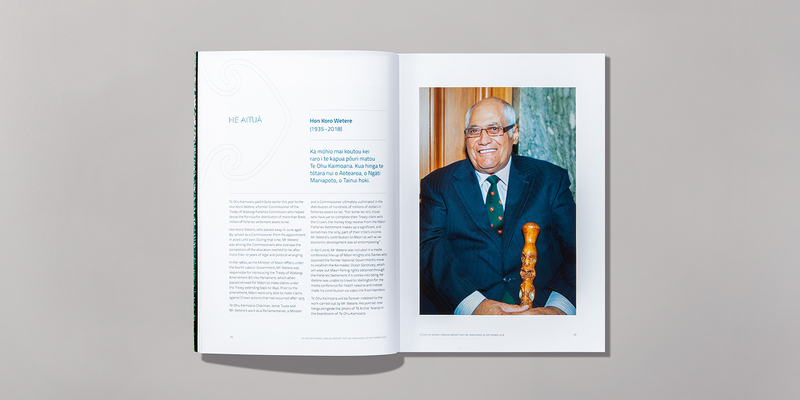 Maori Culture and narrative greatly informs the New Zealand identity. 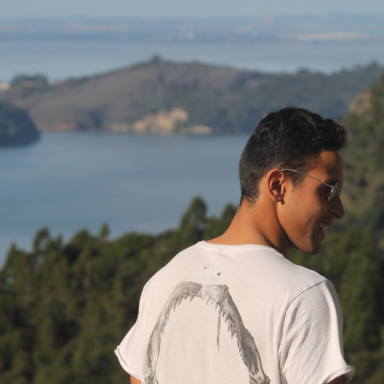 Ahead of DA’s Auckland workshop Designing a Culturally Authentic Aotearoa we spoke with facilitator Johnson McKay (Ngāti Kahungunu, Tainui Waikato, Ngāti Porou) owner and Creative Strategist at Fly. When we last spoke you mentioned you were spending 2018 learning te reo Māori full time in a full immersion context. Has learning Te Reo informed your design approach? It’s completely revolutionised the way I think about everything. There is a depth of meaning in te reo Māori that connects me even deeper to the land and the people of Aotearoa. it hasn’t changed my design approach. 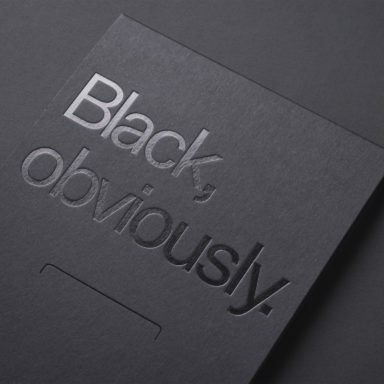 But it gives me more understanding to use design to convey ideas that are authentic and relevant to New Zealanders. What do you enjoy most about teaching & learning? I get super excited to learn anything. I am naturally inquisitive and want to decode and decipher complex things into simple packets of easily understood information, to reduce something down to a simple pattern, insight or articulation. So it thrills me to pass that on to someone else and empower them to apply that insight into their own work. What do you perceive as the biggest barrier for designers wanting to achieve cultural authenticity in design? Ethnocentrism. Everyone comes at something from their cultural prism or paradigm. To truly remove that, requires someone to bravely put aside all their preconceived notions and be truly open. True innovators are brave and able to be introspective about their own paradigms and assumptions and then throw them out to be open to new ideas. But they are also able to infuse themselves into their work in a meaningful way. How should Aotearoa’s designers approach the respectful incorporation of Maori concepts in their design outcomes? Māori knowledge has been retained for centuries through oral tradition. The culture is built around personal and intimate relationships, in which this knowledge is entrusted to the next generation of students, who will then become teachers. Within those tribal narratives and art forms contain histories, values, relationships and the hopes and dreams of the people. So to decode Māori art as a system and apply it is not that hard. But to do meaningful incorporation of Māori art forms means to understand the values, tikanga, principles and aspirations of the people that created those forms. That learning comes through immersion, not observation. What do you hope for the future of design in Aotearoa? That people know more about New Zealand history, art, language, people and places then they do about Donald Trump or American sit-coms and that it be normal to use te reo, indigenous art forms and concepts to communicate to every New Zealander. That there be much more access to Māori design in mainstream schools and daily design practise. Who should attend your “Designing a Culturally Authentic Aotearoa” workshop? 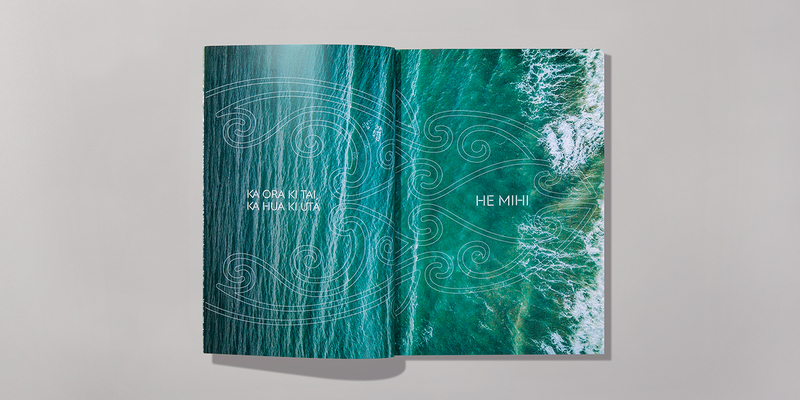 People who would like to get a context for Māori cultural values and beliefs that inform their design language and how to apply Māori art forms to convey authentic narratives in a contemporary design context. 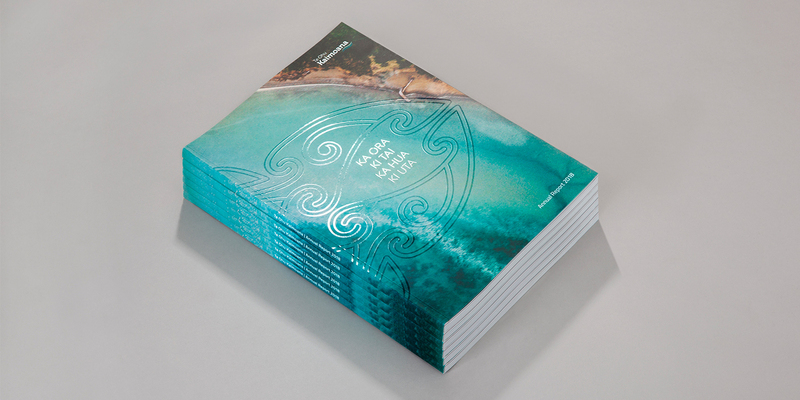 This interview features Te Ohu Kaimoana Annual Report 2018, recently completed by Johnson’s team at Fly. Te Ohu Kaimoana (Māori Fisheries Trust) works to advance Māori interests in the marine environment, including customary fisheries, commercial fisheries and aquaculture as well as providing policy and fisheries management advice to iwi and the wider Māori community. E mihi kau ana au ki te tai rāwhiti, mai i te one o Te Māhia Mai Tawhiti ki te tihi o maunga Hikurangi, ara, ko te whenua kura o ōku tīpuna. Nō Ngāti Porou rāua ko Ngāti Rongomaiwahine ahau. Ka rere atu āku mihi ki te tai hauāuru, ki te āhuru mōwai o ōku tuupuna nō Ngāti Mahuta e noho ana i ngā pikopiko o te awa Waikato. E ngā mātāwaka, ngā iwi, ngā whānau whanui, tēnā koutou, tēnā koutou, tēnā tātou katoa. Kia ora everyone. I am the Founder and Creative Strategist at Fly, an agency I started back in 2005. 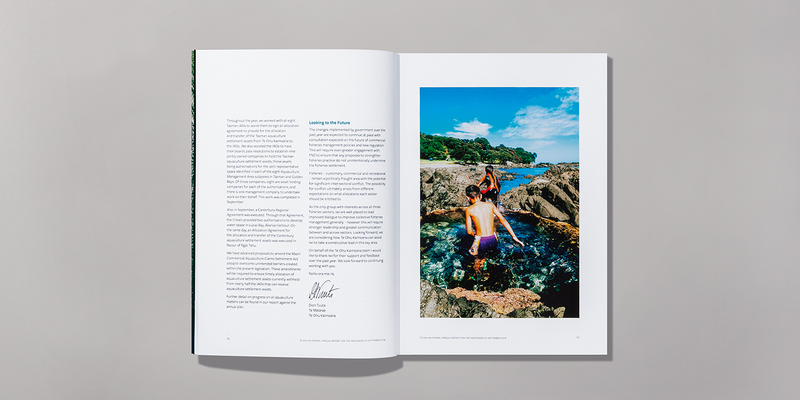 In that time, we have worked across a wide portfolio of clients, from Air New Zealand and Auckland Tourism, to Fisher & Paykel Healthcare and Coca Cola brands. Our work has been recognised by the Designers Institute of New Zealand Best Awards for work across Chelsea Sugar, McDonalds and Māori Television. 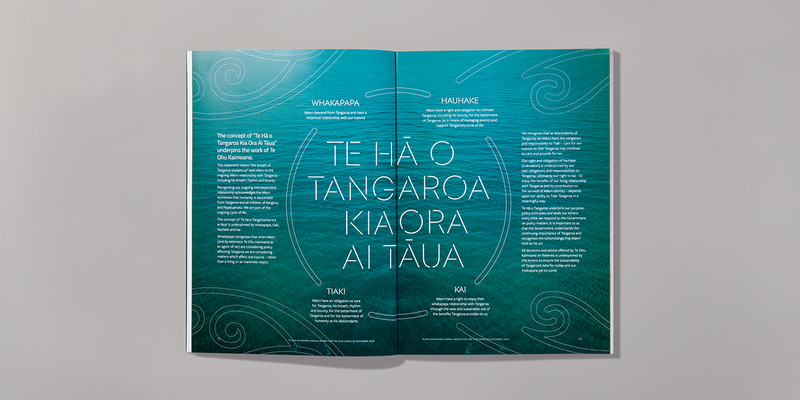 We’ve also received awards and recognition from The Māori Language Commission (Te Taura Whiri i Te Reo Māori) for work to normalise and revitalise te reo Māori on our design practise. My passion is authentic narratives, told in compelling and emotionally engaging ways and we bring that lens to every client project. I gain a strong source of inspiration and meaning from Aotearoa: our nature, our people, our native language, art and values. Like most New Zealanders, my identity is a mix of influences. From my American mother, to my father, who grew up in Māhia, to my love of hip hop and basketball culture, to my religious and cultural values. That fluid mix is my bridge to the minds and hearts of diverse people and why I have created this workshop. It’s a space for everyone, of all cultures to come and create their bridge to Māori values, culture, language and art forms. Bring your diverse influences with you and leave being added to through the richness of Te Ao Māori. Nau mai, haere mai, whakatau mai nei ki tēnei wānanga.